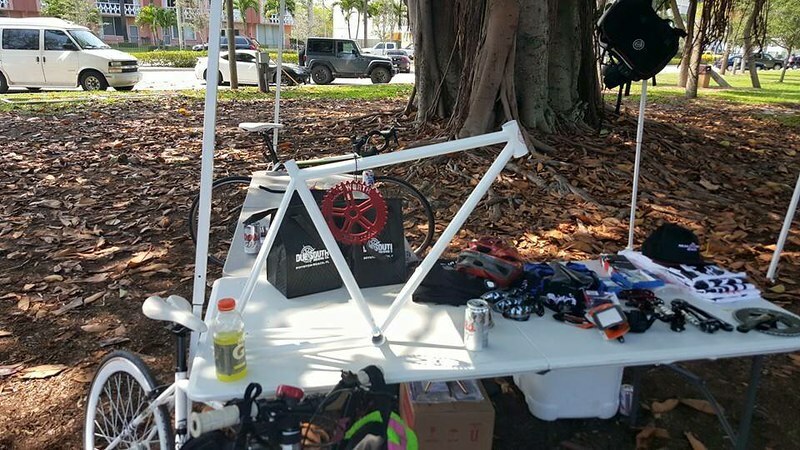 Local bike groups Five FIX One and the Lake Worth Bike Scene put together the 1st annual L-DUB Alley Cat to help rescued animals. 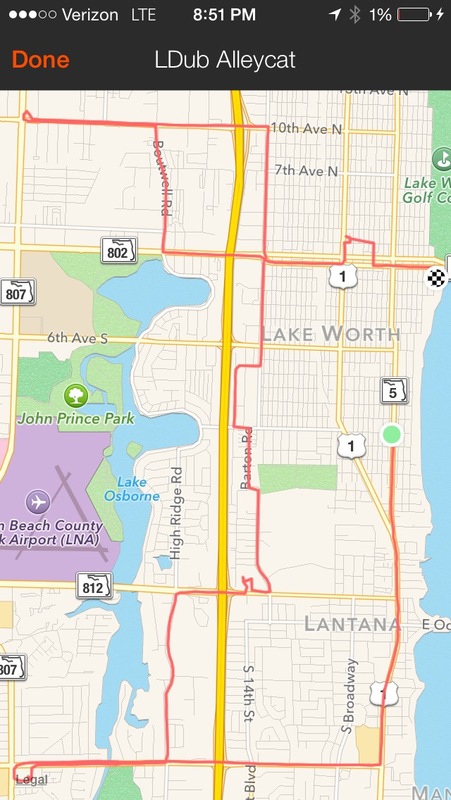 This was a scavenger hunt alley cat bicycle race/ride about 16-17 miles out of Bryant Park in Downtown Lake Worth. 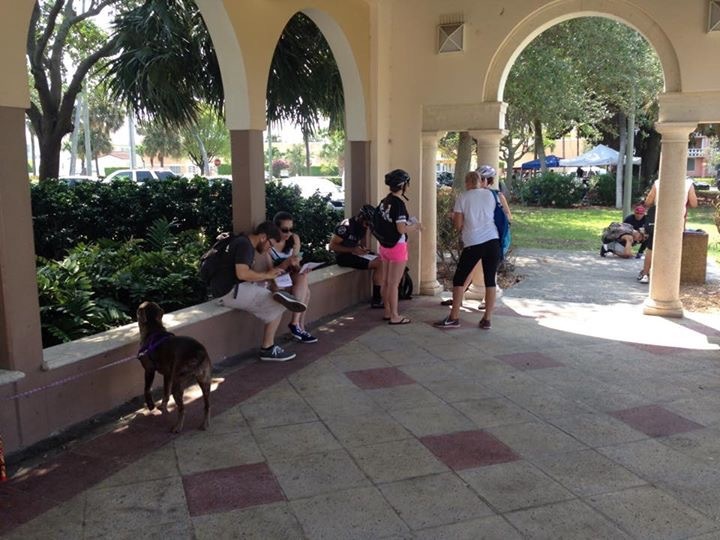 All the proceeds and charitable purchased products went to the Animal Rescue Force of South Florida (ARF)! 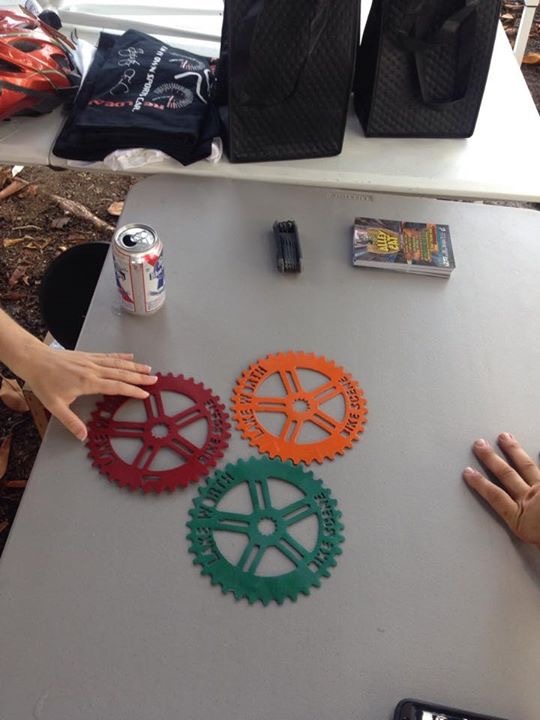 Prizes were handed out post race to the most Charitable and Top 3 riders to complete the checkpoints from Relentless Bicycles, Real Deal Bikes, Havana Hideout, and Due South Brewery. There were 5 stores that each rider arrived at and bought the products on the manifesto. It was an awesome event for the local community and the beginning of many more. Check out this awesome Post-Race Video!